In the 1920s, the airport Mines Field arose from the fields of Westchester, CA. L.A.’s first municipal airport was described as “a dirt patch with just rabbits running around,” according to airport historian, Ethel Pattison. 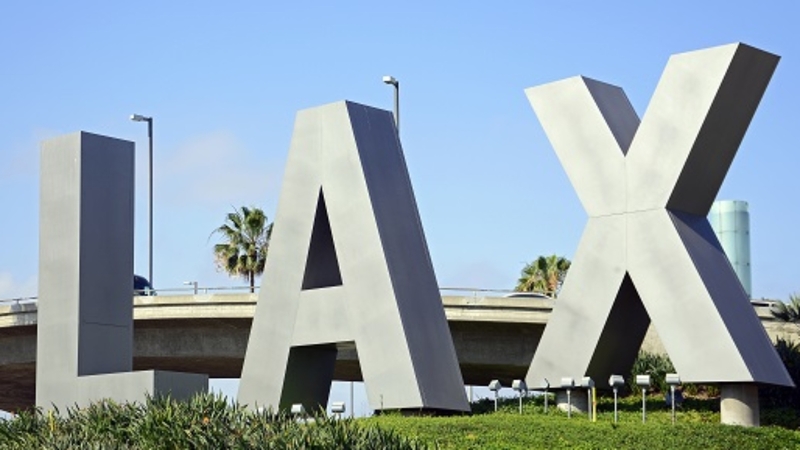 Fast-forwarding close to a century, Los Angeles International Airport — colloquially known as LAX — is a 3,500-acre airport, boasting nine passenger terminals and close to 130 gates. While the rabbits and dirt patch are long gone, the airport has suffered a constant barrage of criticism on topics ranging from horrible traffic, to awful food choices, to slow lines at security and slow Wi-Fi at the terminals. With an eye on both the constant criticism and the upcoming 2028 Summer Olympic Games, Los Angeles World Airport (or LAWA, which operates LAX) embarked upon an ambitious overhaul to help relieve congestion and the frayed nerves of passengers. While some of those improvements have been completed, more massive renovations and additions are, or will soon be, underway. What follows are the massive improvements underway and/or planned, for a massive airport. Automated People Mover. The 2.25-mile APM is geared toward reducing the number of automobiles traveling into and out of the airport. The system will feature six stations (within and outside of the airport terminal area), multiple trains and an anticipated connection with the Metro Green and Crenshaw/LAX light rail lines. Groundbreaking on the project took place on March 14, 2019, with a targeted opening date of 2023. Consolidated Rent-a-Car Facility. Known as ConRAC, the six million-square-foot complex will combine the current, scattered rental car lots. The goal is to consolidate rental offices, cleaning and fueling facilities and storage for more than 20,000 vehicles. Even better — the above-mentioned APM will put an end to rental-car shuttles from the LAX loop, thus reducing traffic congestion. While an official groundbreaking date hasn’t been announced (it’s likely to be sometime in 2019), the ConRAC is scheduled to be operational by 2023. Intermodal Transportation Facility — West. The ITF-West will consist of a modern parking structure with 4,700 parking spaces, a dedicated concessions area, and the LAX Security and Badging Office. The facility will also include a pick-up and drop-off curb for commercial and private vehicles, and will eventually offer a direct connection to the terminals, via the APM. The plan will also offer pedestrian walkways and plazas, as well as two new roadways to be built west and north of the ITF-West. The facility is scheduled to be operational by 2021; and a shuttle will transport people between the ITF-West and terminals until the APM is operational in 2023. American Airlines began a $1.6-billion overhaul of its space in October 2018. The overhaul will redesign Terminals 4 and 5 as a single, 300,000-square-foot hall with larger bathrooms, more power outages and larger windows. Screening lines will also be upgraded. Delta Air Lines commenced its $1.9-billion upgrade in 2017, focused on renovations of Terminals 2 and 3, improving signage and increasing power sources. Construction is expected to be completed by 2022. LAX launched construction on a $1.6-billion Midfield Satellite Concourse in 2017, which will add 12 gates to the Tom Bradley International Terminal. Construction is expected to wrap up by the end of 2019. While the overhauls and construction projects will likely lead to more traffic congestion and passenger headaches in the short term, the final project could be worth it. Los Angeles Magazine suggested travelers keep their eye on the Tom Bradley International Terminal, which was rebuilt in 2013, and boasts a “roomier layout, arty design, waiting areas endowed with scads of electrical outlets and outposts from well-known L.A. restaurants . . .” TBIT could end up being a very good example of what LAX will be like, once the construction, updates and overhauls are at an end.